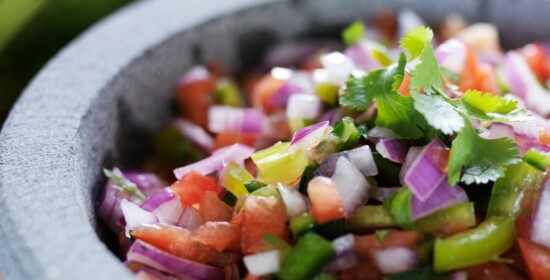 Pico de Gallo Salsa Recipe – use tomatoes for traditional Pico de Gallo or try pineapple salsa or mango salsa, both great on grilled fish or chicken entrees. Or serve all 3 as an appetizer along with tortilla chips and/or cut-up vegetables. Chop your choice of: tomato, mango, or pineapple and add to a small bowl. Chop onion, jalapeno, and cilantro and add to bowl. Juice a fresh lime and add to bowl with salt and pepper. Mix well. 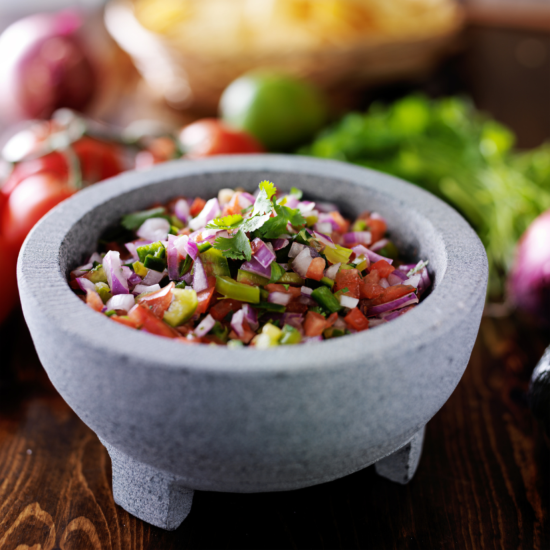 Before serving, let the Pico de Gallo sit at room temperature for 20 minutes to 1 hour so the flavors blend. Recommended, eat the same day, does not keep well. Serve with homemade tortilla chips and/or cut-up vegetables. Or try baked tortilla chips like Guiltless Gourmet Brand. Also great on grilled or baked fish or chicken entrees.